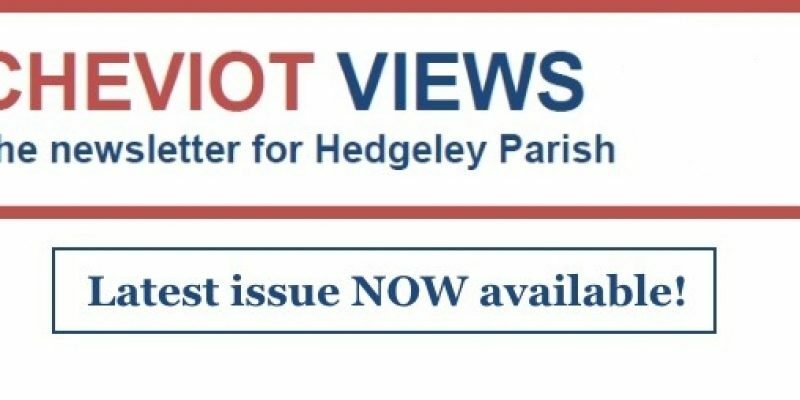 The latest issue of Cheviot Views: the newsletter for Hedgeley Parish is now available and, if you’re a resident of Hedgeley Parish, it should be dropping through your letterbox any moment. 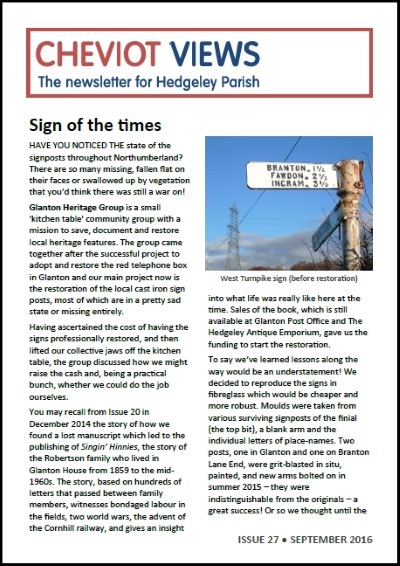 Sign of the times – Dave Holdsworth explains what the Glanton Hertiage Group is doing to preserve vintage signposts in our area. Titlington Pike triangulation point – Jen Armstrong explains a little about the history of triangulation points with reference to our own nearest one on Titlington Pike. The Night Sky (Autumn 2016)– Peter Slater identifies some of the main astronomical sights to look out for in our local International Dark Sky Park, including the Andromeda Galaxy. Hedgeley and Branton Lakes – John Carr-Ellison writes about the efforts he’s making to preserve and extend nature conservation along the Breamish Valley at Branton and Hedgeley. You can download Cheviot Views No.27 here.